Whistler is a family tradition for us. No matter what we have going on, we always know that come December we are going to Whistler and we will have a great time! From exploring the village, scouring the little shops for fun little trinkets and goodies to hitting the slopes for some world class skiing and boarding, and winding down in a hot-tub afterwords, Whistler has it all, and we love it! Read the full article by Acouplesworldtour. 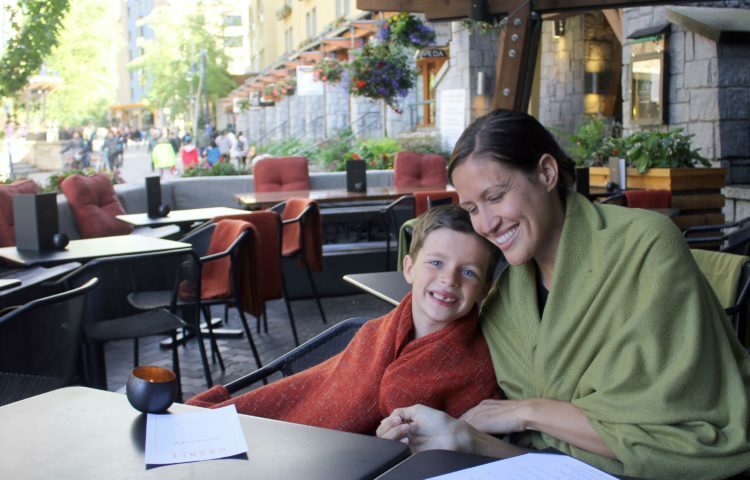 This contemporary eatery offers a “professionally casual vibe” in the heart of Whistler Village. Enjoy a seasonal menu, a great wine program, and some stellar charcuterie options too. Read the full article. The Matador Network enjoys fondue at Basalt. The busiest travel day of the year in the US is the Wednesday before Thanksgiving, although most of the journeying is done by car to gather with family. Visiting somewhere exciting and new isn’t usually the plan. In these charged social times, however, getting out of town — whether to discover a new city, relax on a beautiful beach, or catch some early-season skiing — is probably a better way to recharge than getting into a political discussion around a turkey. Or maybe you and the in-laws are getting along fine — so well, in fact, that you’re happy to bring them with you, but you just want to do it somewhere that isn’t the suburbs. Here are the best places to visit this Thanksgiving break. Read the full article. The Ultimate Whistler Experience: Check Out These Must-See Spots in Whistler, B.C. Whether you’re looking to grab brunch, lunch, or dinner, Basalt Wine + Salumeria has it all. Located in the heart of Whistler village, the restaurant has a modern vibe that’s perfect for a casual get-together or even a family dinner. Their seasonally evolving menu ensures that your meal will come out fresh and in-season. If you and your friends aren’t really looking to devour an entire meal, Basalt also has charcuterie boards if you just want to catch up, eat cheese, and drink wine. Read the full article. VITA tours Whistler and stops in at Basalt. As one of the world’s top ski destinations, Whistler needs no introduction. Canadians and international visitors alike flock to the idyllic resort every winter, captivated by the spectacular views, luxury accommodation, top restaurants and, of course, access to those perfectly powdered slopes. In recent years, summer, too, is busy in the village, with festivals and sporting events drawing crowds nearly equal to the snowy months. Read the full article. Planning a holiday in Whistler, Canada? Eating must be on your agenda! Here is a guide to all of the best Whistler restaurants! The O'Brians Abroad, Modern Nomads tour Whistler. Read the full article. The Vancouver Courier takes a visit to Whistler. Read the full article. We invited Gastrofork.ca for a media visit. Read their full review here. The non-skier's guide to Whistler, B.C. Whistler is world-renowned for its powder, but the picturesque mountain village has plenty going on off the slopes as well. Read the full article here. See what Canadian Traveller has to say about Basalt Wine + Salumeria. Read the full article here.